Dog ID tag, deep engraved by Red Dingo. 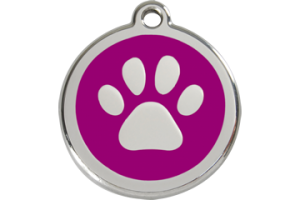 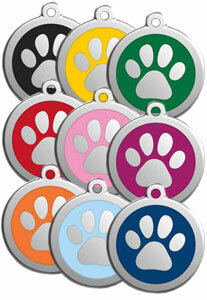 Hard-wearing polished stainless steel dog tag with enamelled Paw Print design, size Large 38mm diameter. We have bought a few tags for our chocolate labrador but this one outdoes them all, Very well made and look lovely on a large dog. 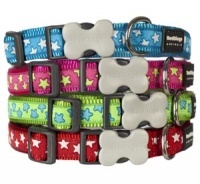 Good value for money and didn't have to wit too long for it to arrive. 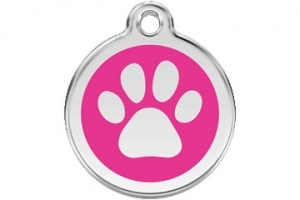 Got this for my Boxer it's the second one Iv ordered as I ordered a pink one for my Shar Pei they are such good quality and very hard wearing. Great quick service too brilliant site for us dog lovers. 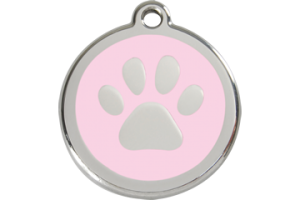 I was very pleased with my dogs large ID dog tag, it is very good quality for the money I paid, and the delivery was very quick. 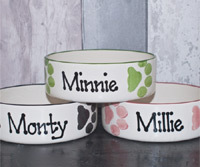 I have already purchased 2 of the dog urns for my 2 best friends I have lost in the past few months and have been very pleased with every item ordered and would recommend to friends. 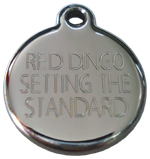 Red Dingo are the best, its that simple. The dog lost his collar and tag whilst forcing his way through a hedge on a walk. 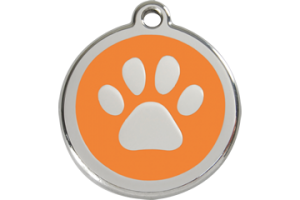 We couldn't find it, so ordered a new one when we got home. Very happy with the price and delivery time for this quality purchase. 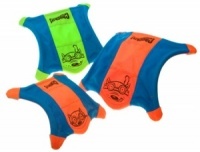 Really good quality, looks really smart and professional and the delivery was quick.